Turning your front yard into a garden is a great way to create a welcoming entrance to your home. This is something that many people do in Colorado and it is a great way to exercise your gardening skills! Before you dig your first hole though, be sure to call the Colorado call before you dig line, 811. Ah, gardening. Some say it’s not for everyone, but with gardening, you can do a lot with a little. Whether or not you happen to have a green thumb, you can easily turn your front yard into a beautiful piece of horticultural art. Why Garden in the First Place? Even if you’re not planning on selling anytime soon, increasing your property’s value is always a great idea. What Kind of Garden Can You Grow? Can You Grow Food in the Front Yard? The short answer is yes. There’s even an international organization called Food Not Lawns that advocates it. But there’s a longer answer to consider before plowing up your yard and planting a full-blown vegetable crop. If you belong to a homeowners association (HOA), check the rules to see if front-yard vegetable gardens are allowed. 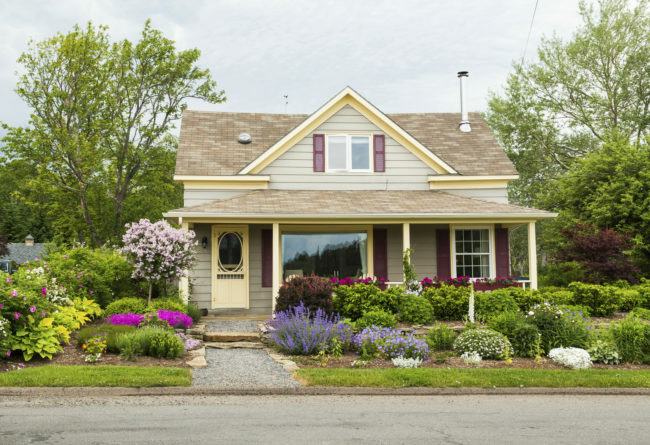 Many HOAs enact rules that prohibit vegetable gardens in the front yard because they want to set a standard for beautiful landscaping that keeps property values up. Other HOAs may have restrictions on the types of plants you can grow. Regardless of what the rules are, you should abide by them to prevent decreasing the value of your home. If you just can’t resist the rebel call and want to give front-yard veggie gardening a try anyway, you can use a little creativity and probably get away with it without devaluing your home. 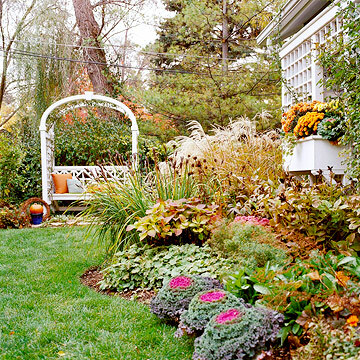 Aesthetics Count: Make your garden space as beautiful as possible so neighbors will be less likely to complain. Share Your Bounty: When neighbors taste how good your veggies are, they’ll probably want you to keep growing them. Keep Plants Healthy: When a plant goes south, get rid of it. It will keep your garden healthy and beautiful. Use Containers: If the HOA says you can’t remove grass, try growing your vegetables in pretty containers. Consider Every Growing Season: When a plant’s growing season is over, replace it with something else instead of leaving an ugly dead space. Just Add Flowers: If all else fails and the HOA won’t allow vegetables in the front yard, try a few flower beds. There’s a variety of edible flowers that will give you the satisfaction of growing food while still abiding by the HOA rules. Kids Interested in Gardening? Here are Some Tips to Get Them Started! Gardening is something many coloradans enjoy and it’s an activity that the whole family can enjoy. Getting them started early is a fun way to let them play in the dirt while they also learn about different plants. 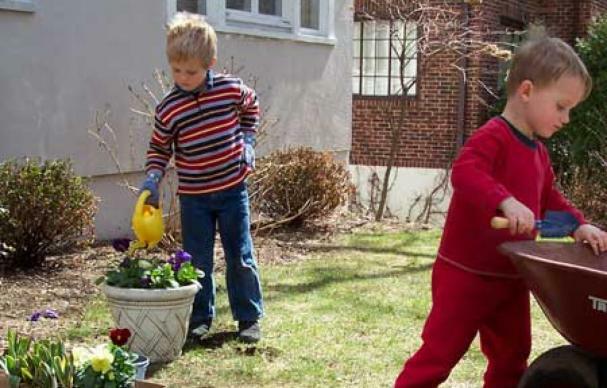 As you teach children about yard work, be sure to teach them to always call 811 during any digging project! When it comes to gardening, kids can’t wait to dig in. Here are some ideas to help them get growing. Children gravitate to gardening for some very basic reasons: Dirt. Water. Hole-digging. To which I’d add, from my experience with two boys: Food. And bugs. (Not that they should ever be confused.) And they like the flowers. Sure, kids love to see seeds sprout, then leaf out and eventually bear flowers or tempting berries or tiny tomatoes. But that takes time—and ten minutes can seem an eternity to little people with short attention spans. So if you want your kids to get excited about the plant part of gardening, look for projects with an easy payoff. If you’re going to start seeds indoors, you can create a perfect starter nursery using the bottom of a cardboard egg container (and teach a useful lesson about recycling while you’re at it) and a starter soil mix. Or use peat pots—the compressed ones that expand with water like those magic sponges are a fun bonus. Go for plants that germinate quickly, like radishes, even if you don’t like them—they come up in three or four days. 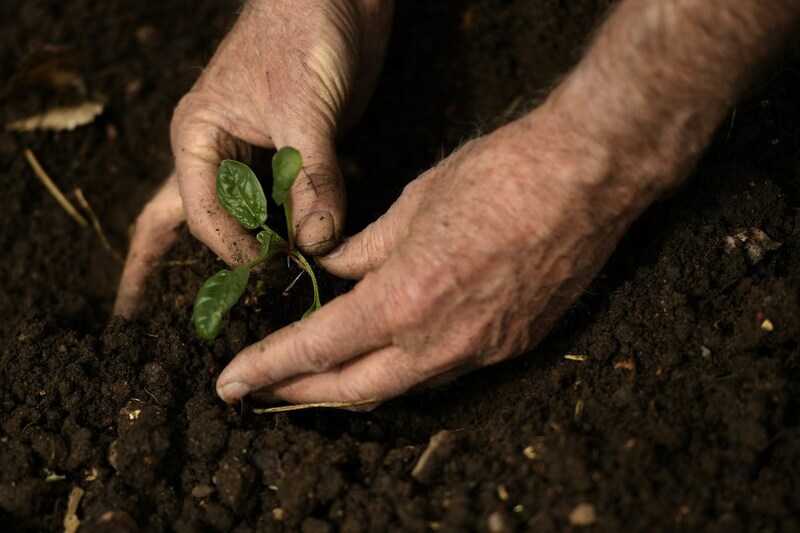 If you get started in early spring, you’ll have to acclimate the seedlings to the outdoors for a few hours a day before you plant them; just cut the egg carton containers apart to separate the plants. Like the peat pots, the little cardboard forms can go right in the ground, where they will decompose as the plants grow. If seeds are too slow, buy small nursery plants to give your garden a head start. Some easy-to-grow flowers include marigolds, nasturtium, ageratum, marigolds, bachelor’s buttons, cosmos, alyssum and zinnias. Equally easy vegetables include zucchini, peas, cucumber, carrots, and tomatoes. If you have space to spare, consider giving your kids their own garden plot, so you can keep yours intact. If space is an issue, plant in containers; most plants will do equally well in pots. Grow your own tasty vegetable soup in a patch with tomatoes, beans, carrots, squash—they say kids are more likely to eat what they grow and cook. It might encourage them to try new foods (it hasn’t worked in my veggie-averse house, but I live in hope). For fun, mix some rocks and pebbles into a container of soil and plant some full-size carrots. When they encounter these obstacles, the carrots will branch out into crazy shapes—great fun to unearth! Create a pizza garden, with plum tomatoes, cherry tomatoes, eggplant, zucchini, bell peppers, rosemary, oregano, basil, onions and garlic. You can even plant them in a round plot, divided into triangular “slices”. Make room for some “fairy berries.” These tiny alpine strawberries do well in pots and borders. 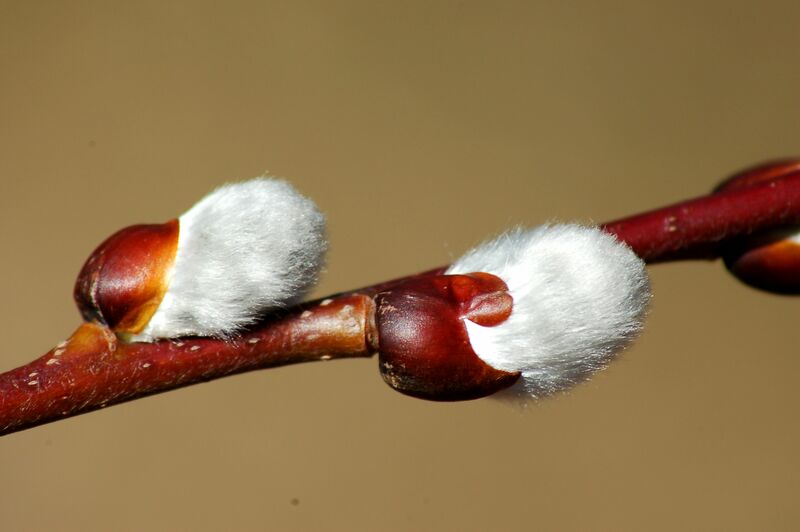 Watch for white flowers that are followed by tiny tart fruits that little hands love to gather. An economic growth trifecta of new-home construction, voter-approved road rehabilitation, and remodeling projects has produced a flood of calls for underground locater services. 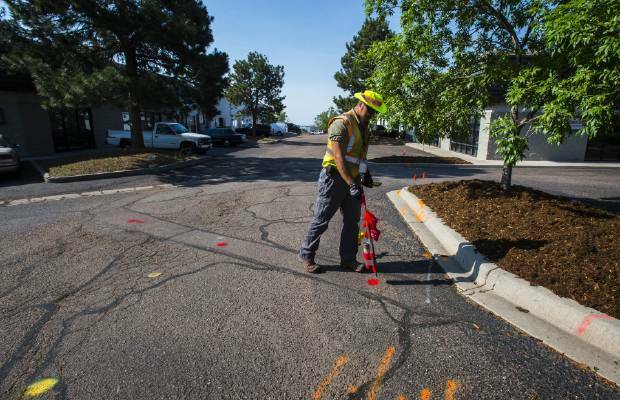 “The Colorado Springs economy is booming, and we’re certainly feeling it,” said Sean Daugherty, customer care field supervisor for locating for city-owned Colorado Springs Utilities. It is great news that Colorado utility locate tickets have been increasing since last year. By law, property owners and contractors are required to have utilities flagged before a shovel or backhoe hits the dirt on anything from installing a fence and planting trees to adding a garage or deck. Requests for the free program are increasing in leaps and bounds, Daugherty said. “We’re on track to more than surpass 2016 numbers,” he said. The department fielded 68,490 residential and commercial calls last year through the state’s 811 hotline. That was 10,000 requests above the totals for 2015 and 2014, Daugherty said. It’s the same story statewide, said Whitney Cregger, spokeswoman for Colorado 811. 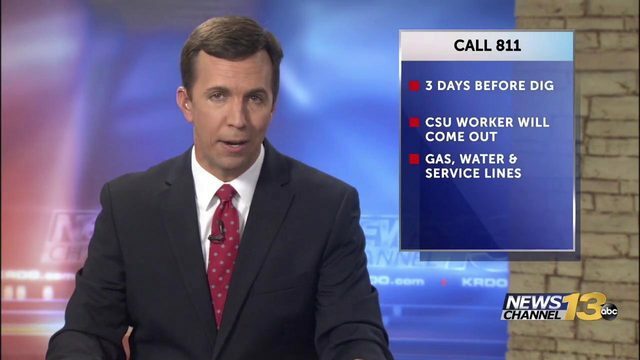 The nonprofit Utility Notification Center of Colorado, based in Golden, operates the state’s call center, which is also known as Colorado 811. Notifications for locater services throughout the state increased 9 percent last year over 2015, Cregger said, and are up 4.5 percent this year through May.